On Monday, May 21, at 14:30 relatives and lawyers of Oleg Sentsov as well as representatives of Ukrainian Government will hold a press conference to inform the public about his current health condition and about possible ways to exert pressure on the Kremlin to urge his liberation, as well as other Ukrainian prisoners of conscience held in Russia. 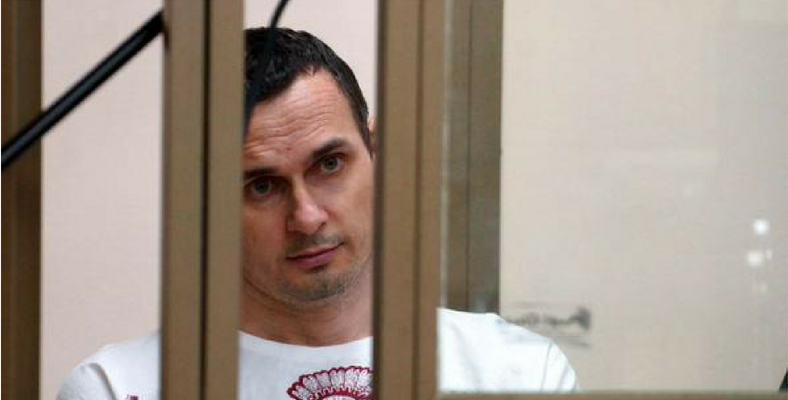 On May 14, Oleg Sentsov, currently imprisoned in high-security prison #8 “Belyi Medved” in Labytnangi, Russia, started a hunger strike and said he will fast until the Kremlin liberates all Ukrainians held as political prisoners in Russia and in Crimea. Sentsov’s hunger strike, taking into account severe climate conditions, the prison regime, and his increasingly deteriorating health condition, puts his life at serious risk. The speakers will also remind of Volodymyr Balukh, another Kremlin’s political prisoner, who continues his hunger strike in prison of Simferopol. They will suggest the actions that Ukrainian Government could make to support and liberate Ukrainians illegally imprisoned by Russia. The press conference will take place at Ukraine Crisis Media Center (Kyiv, Khreschatyk St, 2), with the online stream available after the start of the press conference. Simultaneous interpretation into English will be provided as well. Mr. Maksym Butkevych (+380 50 3348780).